I was all set to write a comedy grammar post on the difference between might and may, and perhaps throw in the difference between can and may for good measure. As I researched the issue, I found that the new and younger grammar pundits have decided it doesn’t matter anymore whether you use might or may, or even can or may. I am not a happy camper. Who are these self-appointed arbiters of grammar anyway? They can jump in the lake, as far as I’m concerned. On the other hand, it got me thinking about getting old and being a slave to outdated rules and words. Perhaps I should get with the [new] program, even if I have to be dragged there kicking and screaming. Grammar is a tool – it’s supposed to work for you, and not the other way around. It isn’t productive to remain in a grammar straitjacket. I might call the grammar police. I may call the grammar police. Historically, might was used to express a less likely possibility, i.e., it would be a stretch if it were to happen, while may was closer to a Yes. I might call the grammar police if I can get up off the couch, turn off the t.v., finish filing my nails, and really start caring about i before e except after c, but ho hum, I’m too tired. On the other hand, I may just call them if you don’t stop saying youse. 1. Might is the past tense of may. I might have corrected your short story if I had been holding a red pen in my hand while reading it. I might have understood the article better if the author had known how to spell. 2. May is used for permission. May I go skydiving this afternoon? You may go skydiving after you finish your grammar homework. 3. If you encounter ambiguity or inelegance, rework the sentence or break the rule. I may go skydiving after I finish my homework. It may pay to rework this sentence. 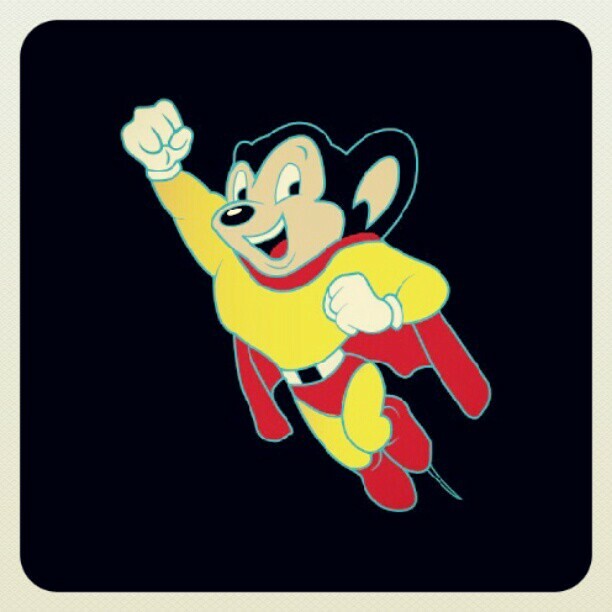 I might have admired the might of Mighty Mouse if he hadn’t displayed such a mighty fear of heights and mites in the night. I might go skydiving after I finish my homework. I am allowed to go skydiving after I finish my homework. Some people should never have been allowed to become teachers. How awful to learn a grammar rule via sarcasm and ridicule. Do not be like this. Thank heavens I can go to the bathroom – I am healthy and my body is functioning. The teacher said I may go to the bathroom – I have been given permission to leave class. Yes, you can go to the bathroom – but not if you’re in Mrs. Lynch’s class. Barring extenuating circumstances such as writing dialogue for a ten-year-old immigrant to the United States or creating an ad campaign for surfboards, you may as well stick to the rules. The result? Elegant, seamless writing. Your reader might not be able to put his or her finger on exactly why your writing is so good, and of course a judiciously switched might, may, or can here and there won’t make a difference to a magazine editor or literary agent. However – and this is important – knowing and basically sticking to the rules will give you a natural edge in the minds of gatekeepers. Being able to put together a coherent piece of prose without obfuscating it with newfangled literary bells and whistles is the mark of a trustworthy author. You can always jazz things up if the situation or the editor calls for it. It’s much easier to get a capable writer to loosen up his or her prose than it is to get a sloppy one to learn the rules. Keep your audience in front of you at all times. And don’t be afraid to put a bit of your own personality into the mix. Thank you for an awesome piece. And thank you for writing! I’m so happy you liked the piece.